Professional sales and marketing literature has a direct impact on a customer&apos;s perception of your company, and a direct impact on whether they will do business with you. Specifically, reducing errors increases sales. There&apos;s a reason you learned spelling, punctuation and grammar in school instead of relying on a spell checker on your computer. Spell checkers, although very good at identifying egregious misspellings, are poor at detecting grammatical errors, repeated words and punctuation mistakes. Those are the mistakes that stand out more than any other content in your sales literature. Such errors make your business look unprofessional and drive customers to look for more professional companies. Don&apos;t rely on reading your documents on a computer screen. Studies show it is easier to miss errors when reading from your computer. Edit your pages in a contrasting ink and then correct your mistakes on the computer. Repeat until all mistakes are corrected. When you spend a lot of time writing content for brochures and sales literature, it can be easy to miss a misspelled word or grammatical error. Have another person read through your edited content and help identify any awkward wordings or spelling mistakes. Proof again when layout is complete. Make sure you review your content in its final context before committing to print. Your spelling and grammar may be right, but the flow of the document and placement of text could look unusual or unexpected when prepared for printing. If you still aren&apos;t sure about your proofreading, consider enlisting the help of a professional proofreading service. Williams Graphics offers proofreading services, as well as copywriting and content development for our clients. Remember, as with all things in business, there is no second chance to make a first impression. Professional sales and marketing literature can be very successful at opening new doors, but too many mistakes can also result in closed doors as well. QR Codes are quickly becoming an important part of a digital marketing toolkit. But where are those QR codes taking your customers? The information you provide a mobile user is important, but so is the way you deliver the information. Traditional websites are not the optimum choice, but with some tweaks to your web design or a QR Code-specific landing page, your QR Code marketing can be very effective. What are Quick Response (QR) Codes? QR codes are two dimensional bar codes that are frequently used in print advertising or product packaging to provide mobile users with more information about a product or service. A consumer scans the code with their smartphone using QR code reader software (included on most smart phones and available for free via download) and is able to view videos, a mobile website or special offers and/or coupons on their phone. By now most American consumers have seen a QR code. You may already be familiar with QR codes and how to use them. You may be one of the estimated 70 million American smartphone owners who regularly scan these codes with your phone to get product details or special offers on the go. 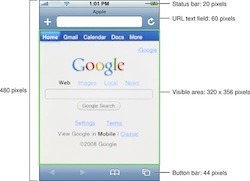 Manufacturers of mobile devices market their ability to display full websites in a mobile browser. But with small screens and touch screen interfaces, these devices are better suited for optimized, mobile websites. Your microsite or landing page can be as simple as formatting the text and images on the page so that they are easily viewed on a mobile device. For example, use a larger font, bigger form fields for use with a touch interface and include email addresses and phone numbers so users can contact you directly from the phone. Optimize images so they load quickly over a 3G data connection. If you are going to share documents, presentations or other information for customers to download, make sure it&apos;s formatted for mobile devices. Not every mobile device can view Word or Powerpoint files, but they can all view PDF files. 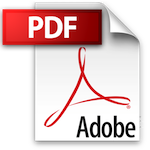 Convert your documents to PDF format and use the optimization tools in Acrobat, Preview or other PDF viewer to reduce the file size for online delivery. If you really want to make mobile users happy, reformat your documents so they are easily viewed on a small screen without having to zoom and scroll around the document. No matter what you want to share as part of your QR code marketing, a little planning can ensure mobile users utilize, and appreciate, the information you provide. 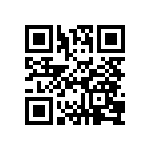 Contact us to learn more about QR code marketing and how to prepare your website for a QR Code campaign. Surveys are a great marketing tool. They enable you to gather key marketing information from your customers or prospects, learn the channels by which your customers wish to communicate and help you provide better service. I have blogged about the benefits of using a website to conduct surveys in the past, but how you conduct the survey is not nearly as important as the questions you ask. Many organizations make the mistake of asking too many questions, thinking they have one chance to gather as much data as possible. No one wants to answer a hundred questions on a survey. Most people don&apos;t even want to answer 10. So what is the right number of questions to ask on a marketing survey? "How likely are you to refer our company/product/service to a friend or colleague?" That really is the ultimate question, isn&apos;t it? For marketers, it succinctly captures all the other data you could possibly need to determine the effectiveness of your marketing efforts and the quality of your customer service. Consider asking this question in a simple online survey posted on your website. Mail a postcard to your customers with this question or include it on your next e-mail newsletter. 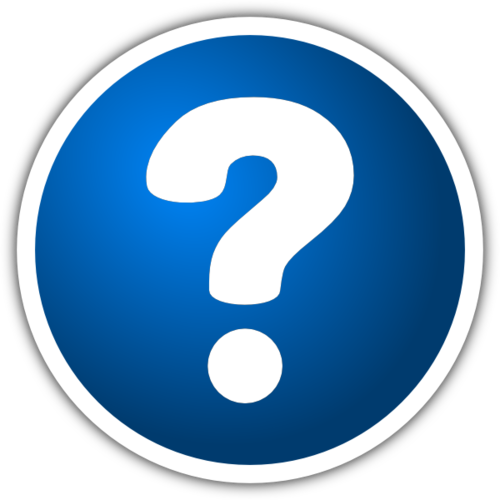 Whatever communication channel your customers prefer, make sure to ask them this question. To learn more about NPS and how to determine your Net Promoter Score based on the answers you get to the one question marketing survey, I highly recommend Fred Reichheld&apos;s book. Not much of a reader? Email me and I will walk you through it.